Shaw's were up at the crack of dawn yesterday morning shopping at Covent Garden Flower Market. The flowers having just been delivered direct from Holland. The colour and fragrance were sensational. Along with all the special characters made it a memorable morning. 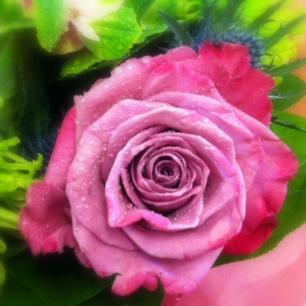 We couldn't restist the beautiful sweet smelling Roses from Ecuador - Moody Blue.